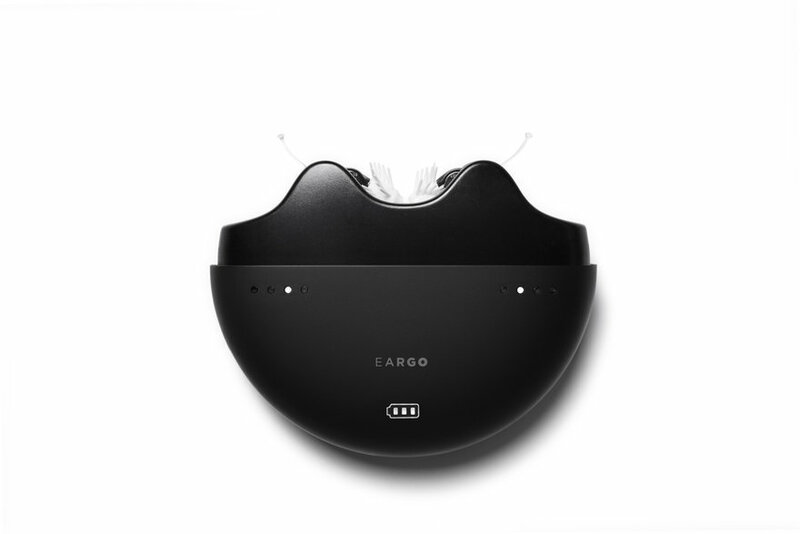 Eargo is a Class I, FDA-regulated hearing device designed for adults experiencing mild to moderate hearing loss. 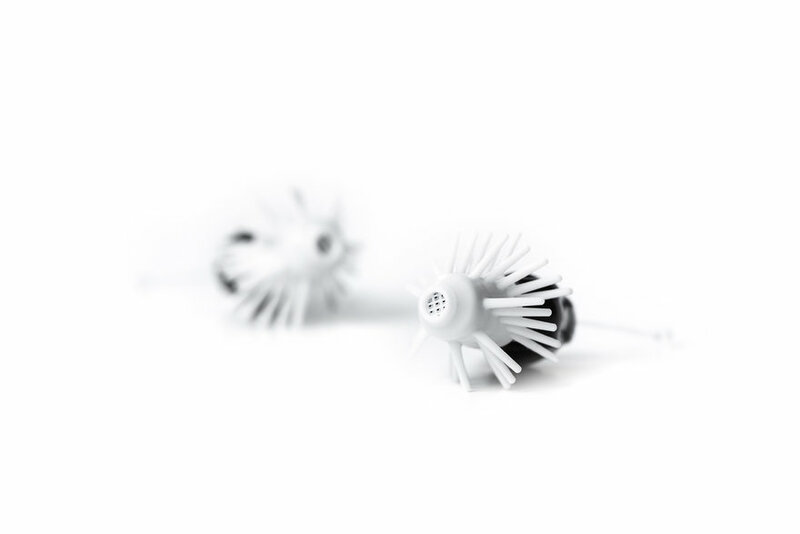 Invented by an ENT surgeon with more than 30 years' experience, Eargo earbuds are virtually invisible. They work with patented Flexi Fibers, a soft material that suspends the device in the ear without blocking the ear canal for natural sound and a comfortable. While hearing aids typically amplify sound using a small speaker, the Eargo device allows bass sounds to travel into the ear, so only treble sounds need be amplified. 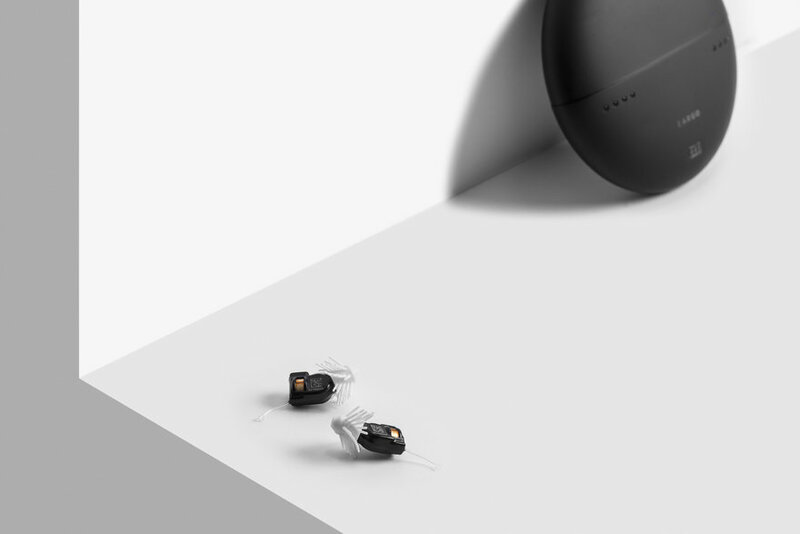 We worked with Eargo to design a brand, product and service around the earbuds that empower people with better hearing. 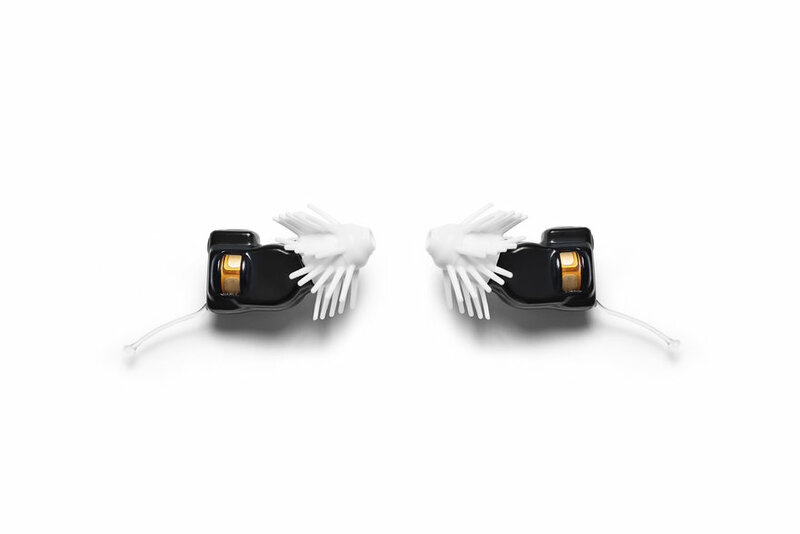 - Enhanced gain and frequency response characteristics to fit a wider range of hearing loss. Eargo increased the gain specifically in the low to middle frequency region to help people mild low to mid frequency hearing loss. This not only allows Eargo to fit more people but helps current hearing aid users adapt to using our hearing devices. - Two layers of ear wax protection with removable Flexi Fibers and a removable HF4 filter. The previous generation of Eargo only had Flexi Fibers that were glued on and could not be changed. By adding the dual layer of removable wax protection, the instances of Eargo Plus being affected by ear wax issues is minimal. - Numerous design modifications for increased product reliability. Improvements were made to the rechargeable battery, the charger itself, the hearing aid jacket, and the microphone. There's a lot of stigma around wearing hearing aids, especially for individuals in their 40's, 50's and 60's—Boomers and Gen-Xers who aren't in a rush to buy traditional hearing aids, but whose lives could be improved by wearing them. Our challenge was to shape a product experience that appeals to this audience in a new way and fits into their more active lifestyles. 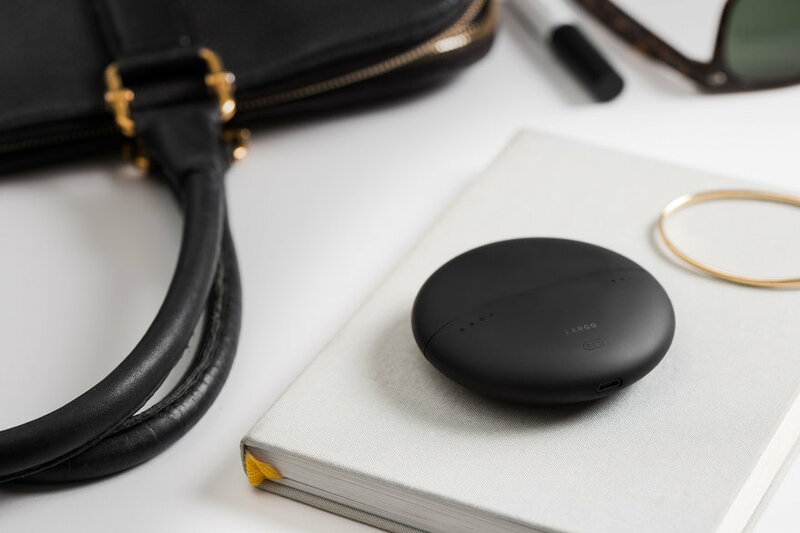 Our goal was to design a useful, usable and beautiful portable charger that would be as discreet as Eargo earbuds, and help to solve one of the biggest pain points when it comes to hearing aids: making sure they have enough power. 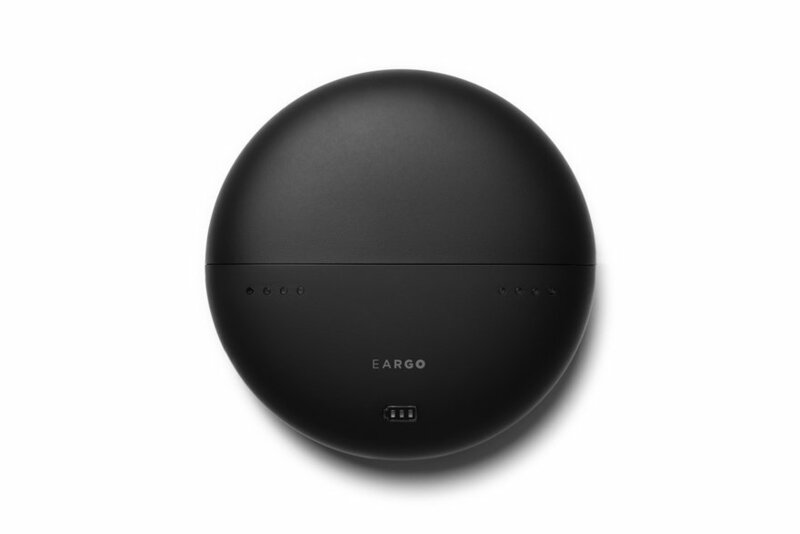 As Eargo is sold direct-to-consumer, the charger also needed to be straightforward to use right out of the box, and easy to handle for older customers. 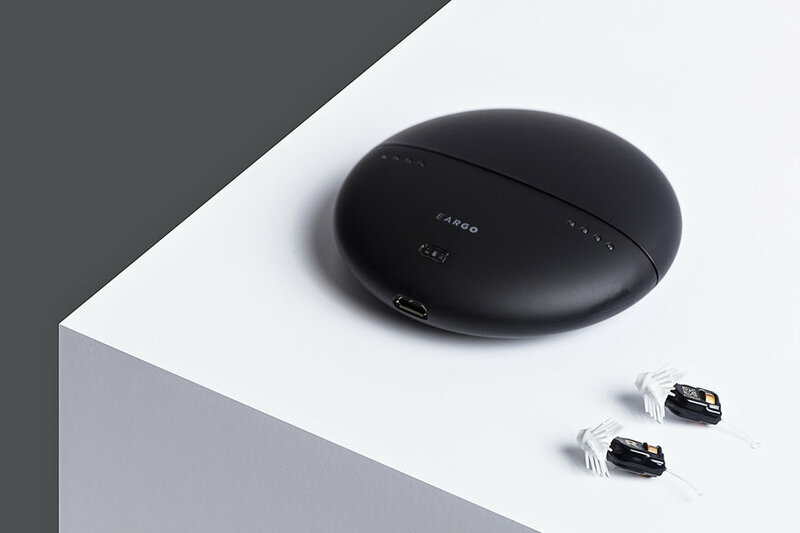 The design language for Eargo was inspired by consumer technology rather than medical devices, and it defies the notion that hearing aids can't be both beautiful and desirable. Eargo's portable charger has an ergonomic pebble-shaped design that gives it an organic, premium feel with soft-touch material that's comfortable to hold. It's also designed to be discreet enough to fit into a purse or pocket. The case is multi-purpose—it stores, protects, dries and charges earbuds. The design of the inner tray was inspired by the shape of an ear, maximizing airflow so they dry while charging. Eargo earbuds are rechargeable and can be worn for a full day before having to recharge. The charger doesn't require batteries, and allows users to charge their earbuds for up to a week before needing to connect it to a micro USB. Traditional hearing aids can be frustrating for users, with tiny batteries and equally tiny battery doors, screws, and buttons that are nearly impossible for people with low dexterity to interact with. This often requires a visit to the doctor just to change batteries or make adjustments. With Eargo, we focused the user experience around ease and simplicity at every touchpoint. 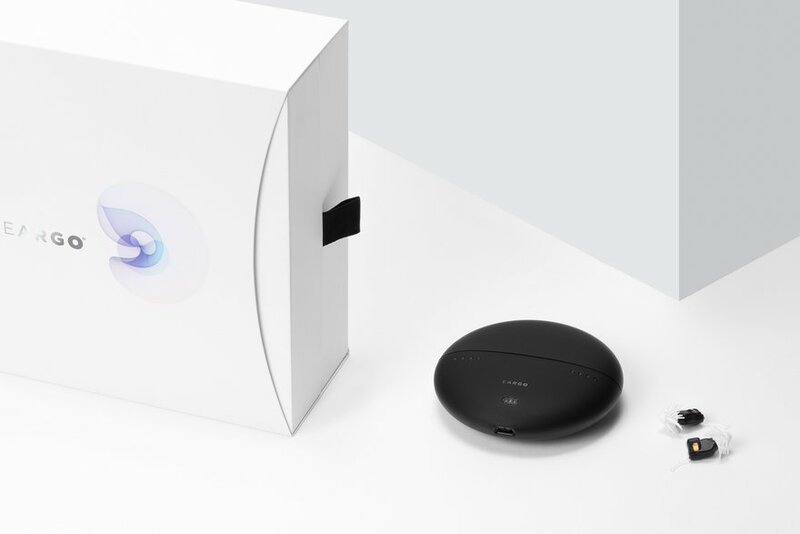 From the moment customers receive their Eargo devices, they are presented with an out-of-box experience that is as intuitive as the device itself. It offers a thoughtful introduction to the product, making it clear and simple to get started right away. The charging case is both straightforward to use and easy to handle for older adults who, in addition to hearing loss, might also have reduced agility and impaired vision. After several rounds of user testing with early prototypes for the case, we decided to make it slightly larger than it needed to be so it benefits people with low dexterity and can also hold more battery charge. Magnets keep the lid closed, and when the case is open, LED lights inside turn on to make it easy for users to properly place the earbuds into the cradles, and easy to find when they need to take them out and use them. The earbuds themselves don't have an on-off switch–to adjust the amplification level users simply double tap their ears. The overall feeling for people using Eargo is empowerment, helping them to take control of their health. Eargo's design has been central to the company's growth and success. In November 2017, the company raised a $45 million Series C investment round. Investors cited the company's fresh approach to the category and consumer-centric model as a major incentive to invest in Eargo's future. According to the Centers for Disease Control, hearing loss is the third most common chronic physical condition behind heart disease and arthritis. The National Institutes of Health estimates that over 28.8 million adults could benefit from hearing aids but few actually use them due to cost, social stigma, and poor performance. In a market dominated by products that make people feel as though they are less than others, Eargo combines technology and design to augment abilities, and give people more control over their health. The starting price for Eargo is $1,999 a pair–significantly less than the average cost of hearing aids prescribed by professional audiologists, which is $4,200 per pair. 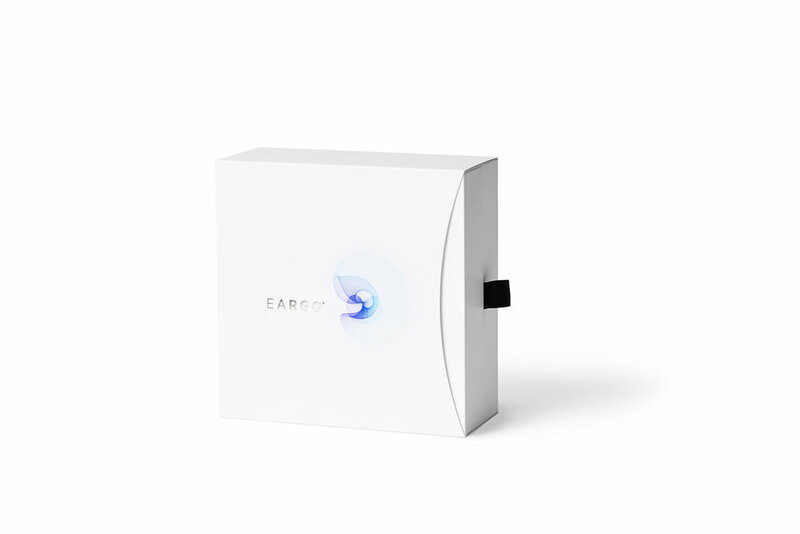 While designed for mild-to-moderate hearing loss and not severe cases, Eargo is looking to bring restored hearing to a large number of people with reduced complexity and cost.